Some Belle & Sebastian to perk up your Monday. I keep having these small perfect moments where I wish I could stop time and take mental photographs. This song is my theme song for Fall 2010. Because, I do want the world to stop. I want to be huddled up with my Daniel and Bono Baby. Do you have a theme song picked out for Fall 2010? p.s. Bono Baby's wall of friends is growing. He wants to thank you all for sending him photo's of your best friends/pets. Now, he claims them all to be his best buddies. If you would like to send a photo of your furry friend to Bono Baby, you can email him at fritzimarie@yahoo.com. This song seriously just made my morning. I've listened to it three times already. I've got the worst headache, and I actually wish the world would fast-forward about a week :-) but this brightened my day. I love it. I hope you don't mind if I copy you and post it on my blog. I hope your headache goes away soon. It makes me happy that we have so much in common. You are amazing. I loved looking at your post about your trip to Seattle. I wish I could have been there to visit with you. I know I've already told you that, but I really do wish I had been there. nothing like Belle & Sebastian! I LOOOOOOOOVE Bono Baby's wall! you are the best mommy!!!! 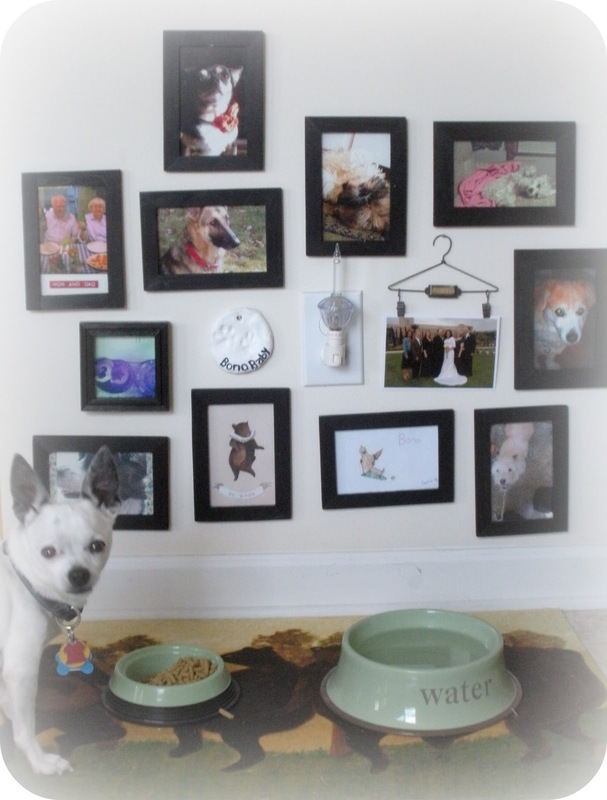 i am squealing over maverick and my stella on his wall :) I LOVE IT LOVE IT LOVE IT!!! what a great project for your new house. miles is jealous...he wants his own wall of friends! LOVE this. and i'm letting the song perk up my tuesday.